For all the hype about supercars' top speeds, the statistic is generally good for nothing more than bragging rights. The likelihood that your Bugatti Veyron will ever meet up with an SSC Ultimate Aero on the street is next to none, and even if you did, good luck trying to find a place to safely exceed 250 mph. Peak velocity seems even less important when it comes to sedans, but that doesn't stop various tuners from chasing the title of world's fastest four-door. Brabus has long held the title, first with E V12 that hit 206 mph in 1996 and most recently upping that mark to later upping the mark to 227.23 mph with the CLS "Rocket". 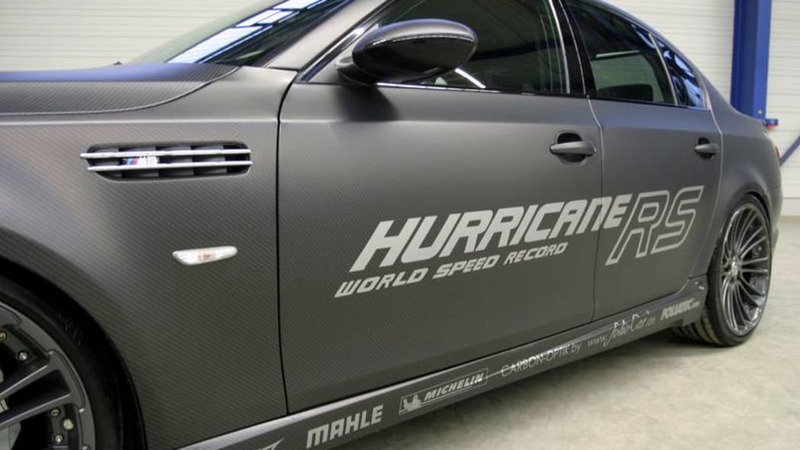 With that number set in their sights, BMW tuner G-Power took an upgraded version of their M5 Hurricane to the ATP High-Seed test track in Papenburg, Germany last month hoping to set a new record. That they did, eclipsing the Rocket's top speed with a best run of 228.4 mph. Lest Brabus seek to take back the title, G-Power claims that they can improve on the number by increasing the boost from the twin superchargers mounted to the BMW's V10. More info on G-Power's new record following the jump. 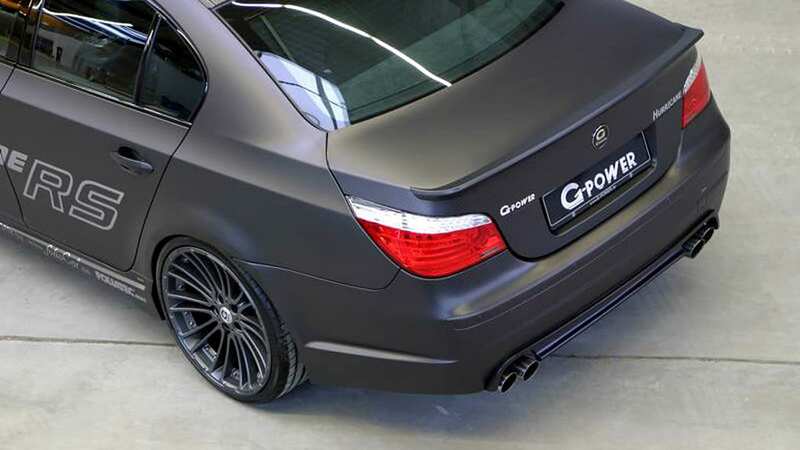 After the record for the world's fastest BMW sedan, G-POWER did it again and broke the long-standing record of the BRABUS Rocket for the fastest sedan in the world. 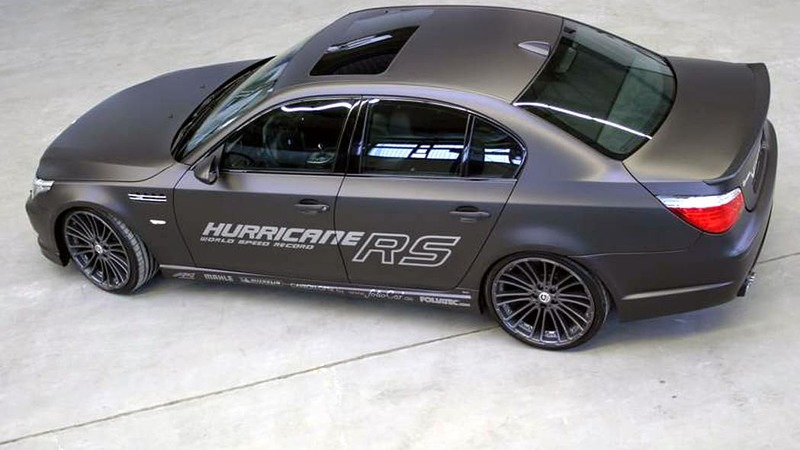 The G-POWER high-speed world record has been realised with a 20 hp stronger evolution of the famous G-POWER M5 HURRICANE which has been clocked with 360 km/h earlier in 2008 and holds the record for the fastest BMW sedan. 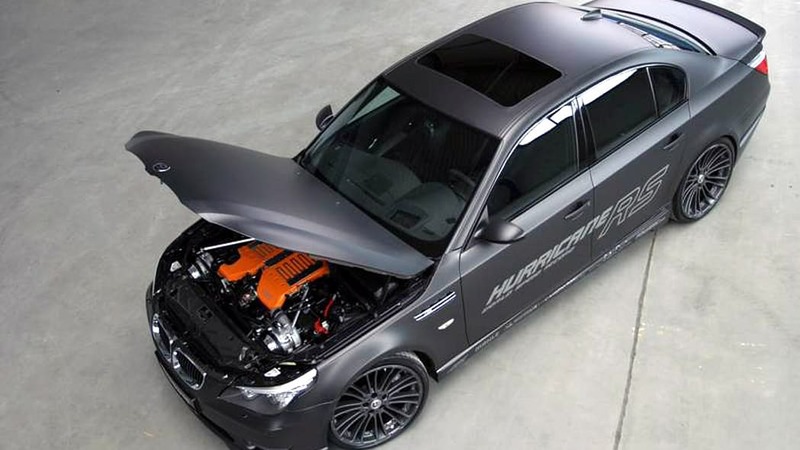 The extra power of the G-POWER M5 HURRICANE RS is the result of two modified superchargers from G-POWER's technology partner ASA, with enlarged capacity. In the following the boost level of the G-POWER BI-Kompressor system could be raised from 0,7 bar rel. to 0,8 bar rel. But still the G-POWER BI-Kompressor system has not yet reached its limit. According to CEO and engineer Christian Stöber:" ...we can rise the boost level up to 1,0 bar rel. and more" and CEO Zoran Zorneke is of the opinion:" we can still improve, if we see the need for it."